Instruction book for Merrychef Mealstream microwave ovens. Merrychef Mealstream commercial microwave oven instruction book. Once you have paid, you will be sent an email with a link, click on the link, download the file, open and print it. 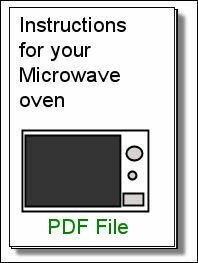 Instruction book for Merrychef Mealstream microwave ovens supplied as a downloadable PDF file.